Bruce Thompson opened the first Market Basket store in 1961. The first location opened in Grove, Texas. Now, the company operates 34 supermarkets in Eastern Texas and Louisiana. The company also owns four Lucky Seven convenience stores. The headquarters is located in Nederland, Texas. You can find the Market Basket application link below. Today, the company employees more than 2,000 associates in those two states. The grocer not only sells groceries, but also offers customers the chance to purchase fresh baked goods and floral arrangements, all made in-store. The stores feature deli departments and fresh meat departments, as well as pharmacies in some locations. Market Basket also offers a store brand line of products to its customers, making it similar to other supermarkets in the industry. The store brand produces a wide array of product lines, including bread, eggs and milk. The brand also produces a variety of sausage products and a full line of spices. The company has a long list of values that all promote a positive work environment. It also works to give customers the best food shopping experience possible. The supermarket chain strives to provide a work environment that promotes teamwork and supporting one another, all while focusing on growing the company and improving the community. The supermarket chain is constantly seeking new employees for a variety of different job opportunities, including entry-level and management positions. Entry-level Market Basket jobs include customer service associates, cashiers and baggers. These positions are hourly and offer flexible scheduling opportunities. If one of these jobs sounds right for you, feel free to apply online. Employment opportunities in management will be a little more difficult to come by. Management positions include department managers, assistant managers and store managers. Hiring for these positions will be more competitive and most of these positions will require previous experience. If you want to start your career in supermarket management, fill out a Market Basket application today. How old do you have to be to work at Market Basket? To start working at any of the Market Basket locations, you must be at least 16 years old. From Monday through Saturday, the stores are open from 7 a.m. to 9 p.m. On Sundays, the stores still open at 7 a.m., but they close at 7 p.m. The retail chain offers its associates a number of benefits, including health insurance, vacation, 401(k) plans and in-store discounts. The company also offers associates wishing to further their careers paid training programs so they can move into corporate or managerial positions without sacrificing a paycheck. These benefits not only keep current employees at the stores, but they also bring in new associates. Stocker – Stocker positions require employees to help unload delivery trucks and organize merchandise. Stockers also place items on the sales floor shelves and keep shelves full and organized. Employees in this position should expect to help customers locate items in the store. Starting pay for stockers is typically minimum wage, but experienced workers may make up to $9 an hour. Cashier – Cashiers help customers leave the store with their groceries. Responsibilities include running a cash register and helping customers find items in the store. Cashiers may have to stock shelves and bag groceries as necessary. Cashiers generally start out making minimum wage with the opportunity to earn up to $9 or $10 per hour. Many Market Basket careers began with employees who started as cashiers. Bagger – Sackers help cashiers get customers out of the store efficiently. Baggers also help customers out to their vehicles. Sackers help clean the front-end of the store and may be asked to fill in for cashiers at times. These employees should be friendly and expect to work part-time. This position pays minimum wage with the possibility of making up to $9 an hour. Manager – Store managers are responsible for supervising the stores’ employees. Each store location has a number of managers who give other employees direction. Managers also help train and hire employees. Managers receive a salary that starts at $40,000 a year. With experience, managers may earn up to $60,000 a year. Can you tell me about yourself? Interviewers just want to find out a little about you and see how you respond to such a broad question. Be sure to focus in on a few key points that are relevant to the job you are applying for. What experience do you have working with customers? For entry-level positions, you won’t necessarily need previous experience. If you don’t have any, don’t be discouraged. Having experience just gives you a leg up on other applicants. Why are you interested in Market Basket jobs? Be sure that you have a reason to apply to every job that you apply to. If you don’t have a reason, you probably won’t perform your very best. What is your biggest weakness? Everyone has flaws, and interviewers understand that nobody is perfect. They just want to know what you think you could work on. If you can come up with an answer and a solution to the problem, that will earn you the respect of the interviewer. What do you think you would contribute to our team? The interviewer has to consider the needs of all the employees and customers. If you have a positive and bubbly personality, you would bring a lot to a job at that store. Be sure to pick a couple qualities or skills that make you special and that will help with the job. If you are interested in Market Basket Careers, the easiest way to apply is to fill out an online application on the company website. Since there is no printable application for Market Basket and no link stating download application form, you should either apply online or in-person. Regardless of how you apply, be sure to include a copy of your resume. While there is no printable application form, you can still fill out a Market Basket job application online. 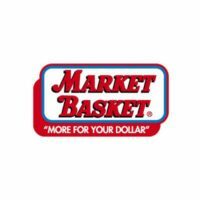 The website will walk you through how to apply for Market Basket online. You can also browse the available Market Basket jobs online via the company’s website. Before applying, be sure to read the job description carefully. If you wish to apply for jobs at Market Basket in-person, you will need to request a free application from a local store. When you fill this out, make sure it is a direct application, and again, attach your resume to the application. Filling out applications in-store might allow your application to be processed faster. When you fill out application forms, expect to wait a few weeks before hearing back. If you don’t hear back within three to four weeks, you can call the store at which you applied and inquire about the position. When you call, reiterate your interest. This will make you stand out among the other people who apply.